Want to ensure you strike a chord with the festival goer? Want your consumer engagement element to stand out among the hordes of other brands at a festival? Then the key thing to remember is that it doesn’t matter how fantastic your engagement is – If festival staffing is an afterthought, which it most often is, then things might fall flat. Careful planning needs to go into the staffing element to ensure the engagement is a success from start to finish. Here are a few top line do’s and don’ts which can be implemented as an effective means to ensure the consumer’s interaction with your event staff is memorable part of the festival. 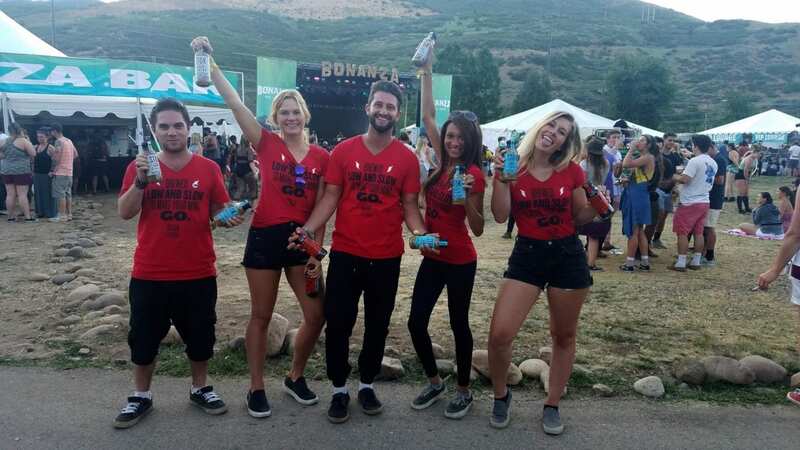 Brand engagement at festivals is designed to distract and monopolize the crowd’s attention. If your staff are equipped with the brand knowledge and are truly engaged as brand advocates, they will be seen and heard above the rest of the crowd. Face to face training prior to the festival is also a good opportunity to train the staff to expect the unexpected. They should be briefed on a range of situations which could be encountered and what they should do if there is an occurrence. This activation environment is filled with a large amount of opportunities for things to go wrong, so they will need to be prepared. Training sessions can also be utilized to provide staff with all the essential details of the festival which might prove problematic if they don’t have the correct information – Like onsite access, stand position, car parking etc. Arriving onsite can often be a nightmare, so the more information you provide staff with, the less drama overall. Remember that you will only have seconds to engage with the festival goer. With the large number of festival attendees, be sure you have a sufficient number of staff to handle consumers and be sure each member of your staff understands his or her role. Festivals can get hectic and consumers will wander away very quickly if no one approaches them within a few seconds. Setting up staff in the crew camping area might be the cheaper / easiest option available, however there are disadvantages to having staff stay onsite – most specifically the temptation to stay up all night with the rest of the merrymakers, guaranteeing sluggish staffers the next day. Festival days can be long and tiresome for the staff, so by keeping to a scheduled drop off and pick up time to and from the festival /hotel, you can ensure fresh and rested staff each day. When nature calls, nature calls – Crew facilities may be provided, however are usually located within the compounds of the crew camping area, which could mean a long walk and a staffer away from the stand for a lengthy period. Where possible, negotiate / hire onsite facilities which can be sited back of house on your footprint. This will save on ‘away’ time from the stand and let’s face it – happier staff overall at not having to use the general facilities. Back of house is also a great space to provide staff with a few basics to make a huge difference to the long hours and often unfavourable weather conditions. A gazebo is often best set up to house a few chairs for staff to sit on during their break, or a power source to charge their phones and a kettle to provide them with a cup of tea. While you may not have the space for every convenience to be provided, these small basic provisions will go a long way to ensure the happiness of the staff therefore reflecting in their overall attitudes. A uniform has many benefits to the brand, mainly in recognition and association, however there can be some negatives too. One such example is if the uniform is not comfortable or ill fitting. Other options to consider is if the uniform is warm enough in the unfavourable weather conditions often seen at festivals, or cool enough on hot summer days? Do you need to consider providing the staff with wellies? Do you need to provide the staff with umbrellas to protect them not only in the cold, but also to offer some form of shade in the sun? Regardless of what kind of uniform or dress code you decide on, you want your team to look professional, comfortable, and identifiable. Because first impressions are often lasting impressions. Elevate Staffing has unparalleled festival experience, having delivered more than 6,000 staffing days across the UK, EU and US markets. No matter what your needs, we will not only provide you exceptional people, but extraordinary services which will safeguard success for your brand.